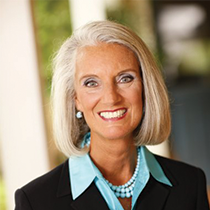 In this message, Anne Graham Lotz unveils the answer to the question: what changed the world's opinion of Jesus Christ after the resurrection? Jesus Christ was crucified as a criminal, as a blaspheming heretic, as an enemy of Rome and of God. What changed the world’s opinion of Him? Why does He go down in history as a good Man? Or a great Prophet? Why do people put their trust in a crucified Jew two thousand years after He lived on earth? The change in opinion was brought about by none other than the Holy Spirit Who convinced the world of the truth—that Jesus Christ was not only crucified, but that He rose from the dead! He’s alive! Jesus announced to His disciples that “when he [the Holy Spirit] comes, he will convict the world of guilt . . . in regard to righteousness, because I am going to the Father, where you can see me no longer” (16:8–10, NIV). The proof of the righteousness of Jesus Christ is in the fact that God didn’t leave Him on the cross, bearing your sin and mine, but raised Him from the dead and seated Him at His right hand, placing all authority in the universe under His feet! Who do you know who needs to change his mind about Jesus? Pray for that person.